Serve your homemade hummus dip as a party snack for guests. The key to making creamy hummus starts by making it from scratch. Homemade hummus dip begins with dried chickpeas soaked in baking soda, which helps to soften the beans. 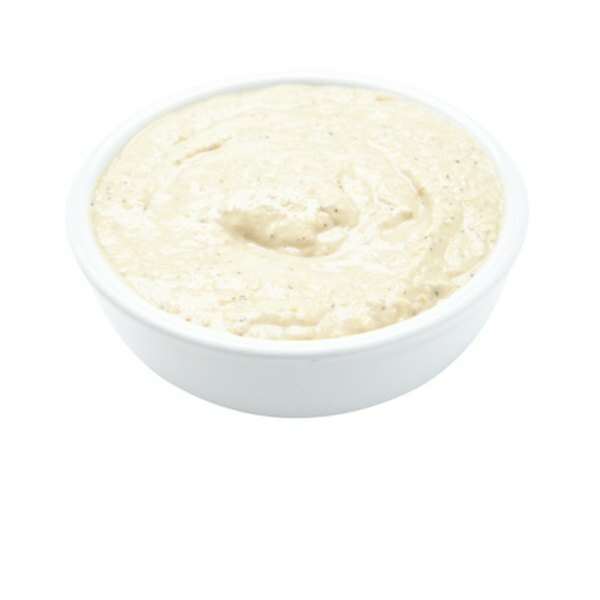 The freshness of the chickpeas along with homemade tahini makes hummus pop with flavor. Toss some roasted red peppers into the hummus for sweetness or increase the spiciness with smoked paprika. Serve the hummus along with homemade toasted pita chips or fresh vegetables for a healthy dip. Add 1/2 cup of raw white sesame seeds to a heavy-bottom frying pan. Heat the pan on the stove top over medium-high heat. Shake the pan gently as the seeds begin to toast - they will give off a fragrant aroma as they heat up. Cook the seeds until they are light brown, which should take approximately two minutes. Pour the pans in a small bowl and allow them to cool completely. Pour the seeds in a food processor. Add the lid and begin to pulse while pouring in 1 tbsp. of olive oil. Blend for three to five minutes, or until they are smooth. Add more oil as needed to achieve a creamy consistency. Refrigerate until you have cooked the chickpeas. 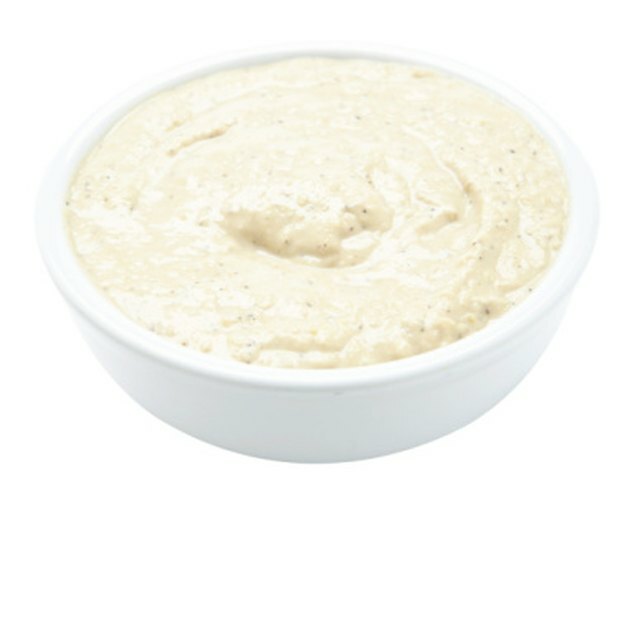 Bring the tahini to room temperature before adding it to the pureed chickpeas. Add 1/2 lb. of dried chickpeas to a large bowl. Cover the chickpeas with water. Stir in 1 tbsp. of baking soda and let the peas soak overnight in the refrigerator. Pour the chickpeas in a colander to drain away the liquid. Run cool water over the chickpeas for 10 seconds to rinse off any baking soda. Place the chickpeas in a medium saucepan and cover with water. Add seven unpeeled garlic cloves to the water. Heat the pot on high heat until the water begins to boil. Turn the heat down to medium and let the chickpeas simmer for 40 minutes, or until they are fork tender, which means you can stab them with a fork and they fall off. Remove 1/2 of a cup plus 2 tbsp. of the liquid from the pot and set it aside. Remove the garlic cloves from the peas and set the cloves aside. Drain the chickpeas in the colander and run under cold water for 10 seconds to rinse. Peel the seven cloves of garlic you boiled with the chickpeas. Add the boiled chickpeas, reserved cooking liquid, 1/2 cup of olive oil and all of the garlic to the food processor. Puree the mixture until it is creamy and smooth. Add all of the homemade tahini, 1/4 cup of fresh lemon juice, 1 tbsp. of ground cumin, 1/2 tsp. of salt and 1/2 tsp. of ground white pepper to the food processor. Set the blender to pulse until the ingredients are combined. Pour the hummus in a bowl. Sprinkle 1 tsp. of sumac over the hummus before serving. Eat immediately or refrigerate for up to two days.